This is a topic that we’ve been looking to cover for a while now due to the excitement and the attention surrounding the industry. Binary Options as a concept have been around for at least 15 years under various guises such as Options, Options Trading and more recently, Digital Options. But the point remains the same, the type of asset and the way in which they work has always remained the same. In the last two years, the popularity of Binary Options has soared as they have become more widely known through aggressive social media marketing and the actions of the Brokers who run exchanges and then in turn the high-profile sponsorships these Brokers are able to exploit. Here we intend to provide our insight into the industry, how it differs from Forex and whether you should get involved. A Binary Option trade is one where a Broker offers you the chance to predict the price direction of a currency pair or other similar asset (such as gold) over a set period of time. The currency pair can be chosen from any pair that the Broker has made available to you and you are also generally able to decide exactly when the trade will end, either in 1,2,5,10 minute increments or by specifying the exact end time e.g. 14:32, but this does differ by Broker. A ‘call’ trade would be a prediction that the price of the asset would have risen from its price at the time the trade was made by the time the trade has come to an end. A ‘put’ trade is the exact opposite and is a prediction that the price will have fallen from its initial price by the time the trade has come to an end. With each trade, you are required to assign a trade amount or stake, which is the amount of money that you are willing to stake on your prediction being correct and coming in, ‘In the Money’ (ITM) as opposed to ‘Out the Money’ (OTM). If your trade is OTM, you will forego the entire stake amount and if it is ITM, you will receive your initial stake back as well as a payout of anywhere between 60%-95% of the stake amount. Which is more profitable: Forex or Binary Options? As you can see from the example, the return on each trade if successful is very high. Most Brokers will have a minimum trade amount of around $20 but the maximum trade amount is usually much higher and can run into the thousands. If you were able to place a trade of $500, and you were successful consistently, the returns possible are astronomical. As we mentioned earlier, the return if OTM is almost always nil, and so to be profitable on a long term basis, your win rate needs to be 60% or above with this figure changing slightly depending on payout percentages. Contrast this with Forex which is a little more slow and steady and you will see that a lot of money can be made very quickly. Unfortunately, with most things that catch on and become popular, there are those out there who seek to gain from the situation through exploiting customers wherever possible. And I’m sure there are a few other methods that I’ve missed. Couple all of that with your minimum win rate required of 60% and you will see that the odds are stacked against you. Now this is not to say that all Brokers are out to steal your money because this isn’t the case and there are many profitable traders out there, you just need to do your due diligence and pick the right one. The other trap waiting to assist you in losing money is the prevalence of signal providers, a) who aren’t very good or b) intentionally provide poor signals as they stand to benefit from your losses. These signal providers can be found all over social media, advertising their services with photos of luxury cars, expensive watches and stacks of cash. Don’t be fooled, any money these people do make is through the commission they receive on your losses. 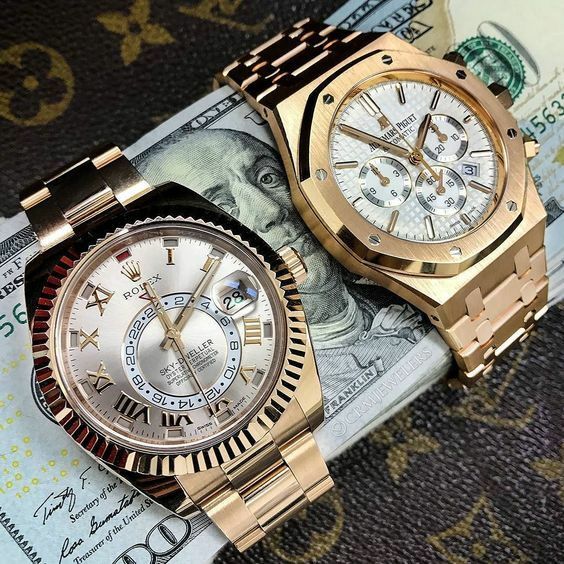 Which is not to say that good signal providers don’t exist, they just concentrate on providing high quality signals which are backed up by transparent performance data instead of trying to lure you in with the prospect of a gold Rolex. We would suggest you try both. They both have their advantages and disadvantages depending on your end goal but whatever you do, make sure you do your research and only trade with licensed Brokers.